Like SHARK-TASTIC, SPACE-TACULAR, FOSSIL-ICIOUS, and INSECT-O-MANIA, SEA-SATIONAL combines amazing facts and photos with an enticing pocket treasure--in this case a few sea stars. Great price point and a unique, terrific package have made the entire series strong sellers. 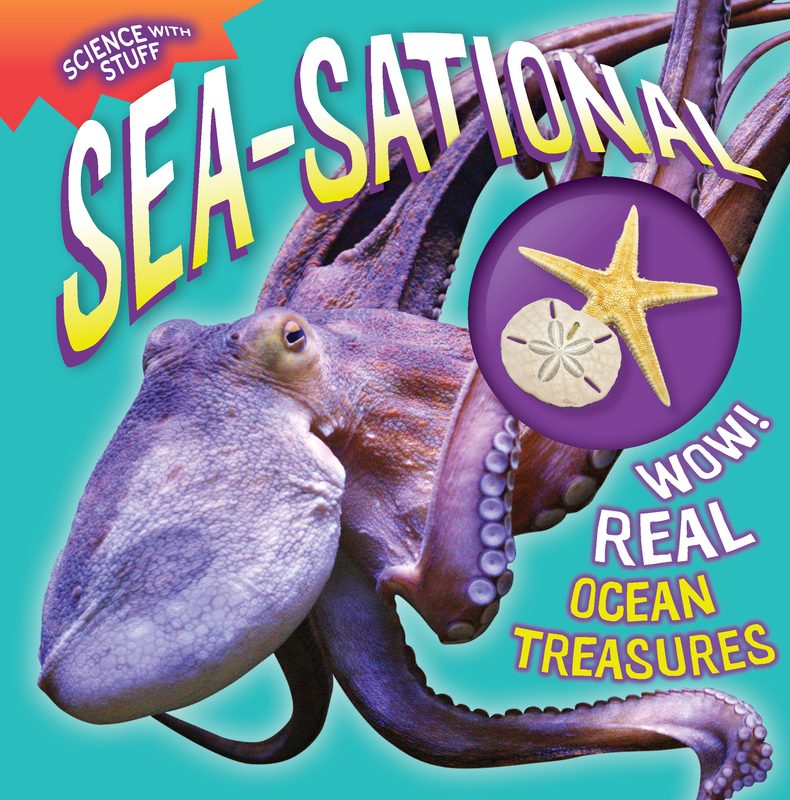 From the creepy blobfish and the ginormous blue whale to bizarre sea creatures that glow, camouflage, poison, eat their young, and more fascinating behavior, SEA-SATIONAL explores all manner of weird and wild life under the sea. As with all Science with Stuff titles, the colorful, info-taining book comes packaged with a real treasure--in this case some sea stars.